With a maximum cup output of up to 80 cups per hour, the WMF 1100 S delivers a large variety of beverages, with reliability and consistently high quality despite its compact dimensions. 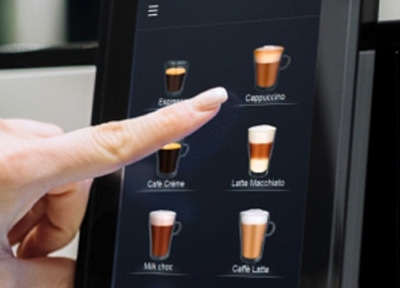 Using the smart operating concept and the 7-inch touch display, anyone can choose and prepare delicious coffee and chocolate beverages with no prior knowledge. Thanks to the 5 on-trend colours available, the WMF 1100 S fits into any design scheme. The compact size provides a wide range of installation options. On a worktop, the 60 cm height to the wall unit is easily adequate for installation. For quiet operation, specially decoupled grinders are used for the coffee preparation process, and with the patented SteamJet, cups can be preheated in a trice. The professional technology also allows fresh milk to be used. The daily cleaning process is very quick and easy thanks to the patented Click&Clean function that is tried and tested in catering operations. 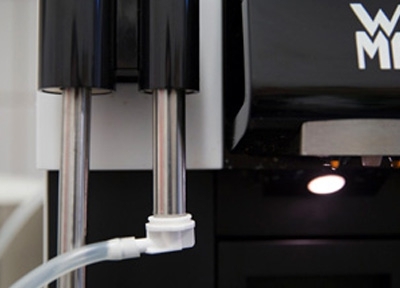 Easy cleaning of the milk system with Click&Clean: It saves daily disassembly of the milk frother and manual cleaning only needs to be done once a week. 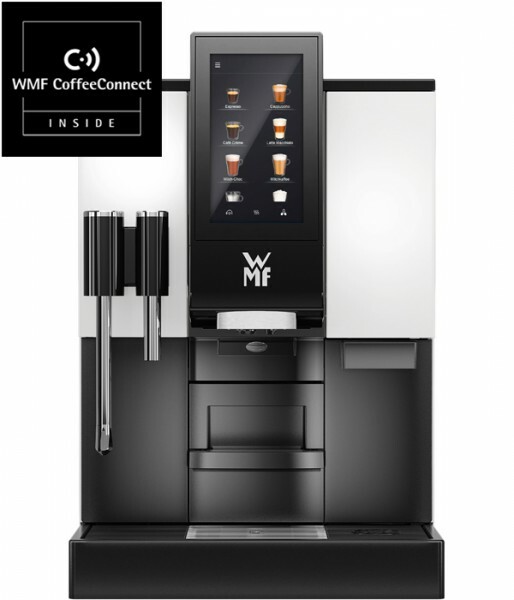 Create professional coffee experiences in no time, to your exact preferences, with the WMF milk and steam systems. The WMF 1100 S is available with the following milk and steam systems: BASIC MILK – Hot milk, hot milk foam – fully automatic via the beverage spout. 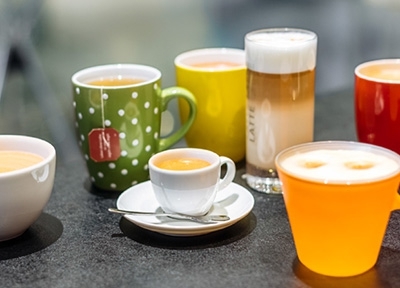 BASIC STEAM – Heating beverages and milk as well as hot milk foam using the steam wand. Manual activation and deactivation. Create your personalised coffee recipe right from your smartphone using the WMF MyCoffee App. It doesn’t get smarter than that. Simply select your favourite recipe, adjust the amount of coffee, milk and foam, enjoy and then share the recipe with others. * Performance is depending on cup-size, quality settings, discharge, configuration and nominal output. The recommended maximum daily output is based on our catalogue and service concept. However, these average values serve merely as a guideline. 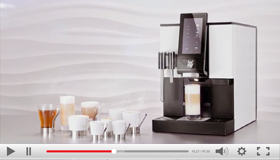 Let our trained WMF Team match the ideal coffee machine desgin to your specific needs. ** Height included Display. Height of top cover without display and enhancements: 460 mm. Height of product hopper enhancements incl. lock (without key): 556 mm. *** The A-rated sound pressure level LpA (slow) and LpA (impulse) at service staff works stations is under 70 dB(A) in any Operation mode. Above 5˚ dKH (water hardness) a WMF water filter must be fitted. Not all options and / or extensions can be combined with each other.